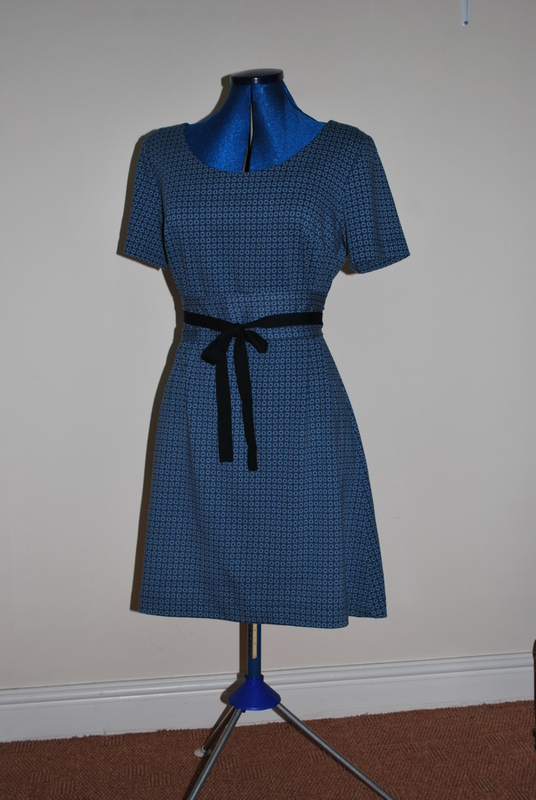 I made a dress from the pattern in this fabric a few years ago, at that time it turned out too big for me and I swapped it at a Swishing event. There wasn’t enough fabric left to make it with the separate skirt, so I simplified the pattern losing the waist darts and joining the skirt. This messed with the hem line, so I had to recruit help to mark a line, measured up from the floor, while I was wearing the dress. at last a dress in my wardrobe! That’s beautiful! I love the fabric. Thank you, fabric was a remnant from a friend.